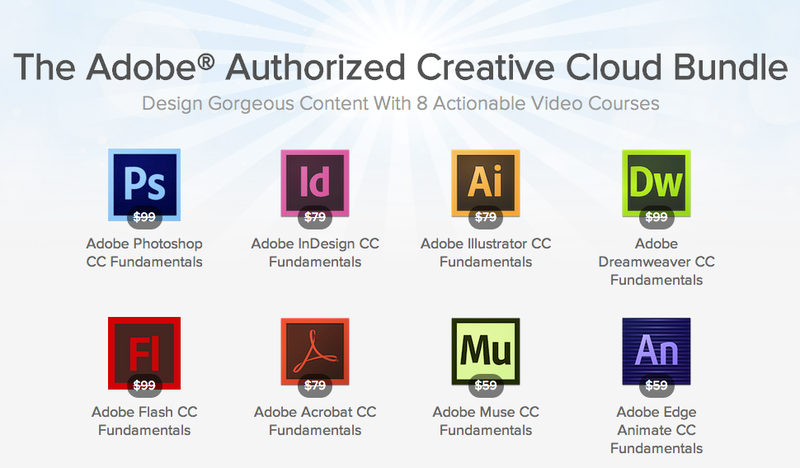 Want to Master Adobe's Creative Cloud? As mentioned previously, Adobe has killed the creative suite and is transitioning to a subscription only cloud service. Now, Lifehacker readers can bundle 8 Adobe training courses at 90% off for $79. These courses are from Train Simple, an Adobe Authorized training service even used by Adobe for internal training. Get The Adobe Creative Cloud Bundle at StackSocial for $79.